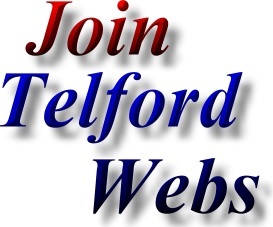 The Telford Cricket web page is provided as a free service for the people of Telford, Shropshire. 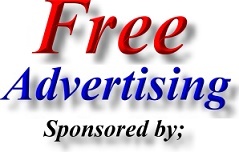 All that we ask in return, is that listed Telford Cricket teams, Telford Cricket Clubs & Telford Cricket Leagues place a link on their website back to us and hopefully mention us on their league fixtures & other paperwork. Address; Bridgnorth Cricket and Hockey Club, Cricket Meadow, Victoria Road, Bridgnorth, Shropshire. WV16 4LB. The Bridgnorth Cricket and Hockey Club is affiliated to; Shropshire Cricket Board, Midlands Club Cricket Conference, Birmingham & District Premier Cricket League, FBC Manby Bowdler Shropshire Cricket League, South Staffordshire Sunday Cricket League, East Shropshire Junior Cricket Board. Address; Broseley Cricket Club, The Stocking, Woodland Road, Broseley, Telford, Shropshire. TF12 5PX. Address; Chelmarsh Cricket Club, Chelmarsh Sports & Social Club, School Lane, Chelmarsh, Nr Bridgnorth, Shropshire. WV16 6AZ. Address; Claverley Cricket Club, Sandford Park, Claverley, Near Bridgnorth, Shropshire. WV5 7AF. Address; Dawley Cricket Pitch, Phoenix Sports Centre, Manor Road, Dawley, Telford. TF4 3DZ. Outdoor Sports Facilities include; 1 Junior Rugby Pitch, 4 Tennis Courts (concrete) - Summer, Rounders Pitch (summer), 6 Outdoor Basketball Rings, 5 Adult - Junior Football Pitches (used by clubs from the local football leagues - veterans league), 4 Netball Courts. Indoor Sports Facilities include; 5 aside Football, 4 Badminton Courts, Basketball Court, Small Gym - Gymnasium: Martial Arts, Gymnastics, Netball, Trampolining. Address; Edgmond Cricket Pitch, Off Shrewsbury Road, Edgmond, Telford. Address; Highley Cricket Club, 10 Oak Street, Highley, Nr Bridgnorth, Shropshire. WV16 6HP. Address; Much Wenlock Cricket Club, 3A High Street, Much Wenlock, Shropshire. TF13 6AA. Cricket Club Facilities - Cricket Pitch in Shifnal, Telford. Address; Shifnal Cricket Club, Priorslee Road, Shifnal, Telford, Shropshire. TF11 8HD. Shifnal Cricket Club are affiliated to the Birmingham & District League and the Shifnal Cricket Club 1st XI currently competes in Division One, whilst the Shifnal Cricket Club 2nd XI plays in the Reserve Premier League. The Shifnal Cricket Club 3rd XI and 4 XI compete in the Shropshire Cricket League, Division's 2 and 6 respectively. Address; Shropshire County Cricket Club, Criftins, Ellesmere, Shropshire. SY12 9LU. Cricket Club Facilities - Cricket Pitch in St Georges, Telford. Address; St Georges Cricket Club, St Georges Sports & Social Club, Church Street, St Georges, Telford, Shropshire.TF2 9LU. Cricket Club for the Disabled in Telford. Address; St Georges Disabled Cricket Club, St Georges Sports & Social Club, Church Street, St Georges, Telford, Shropshire.TF2 9LU. Address; Tibberton Cricket Pitch, Maslan Crescent, Tibberton, Telford. Cricket Club in Wellington, Telford. Address; Wellington Cricket Club, Orleton Park, Wellington, Telford, Shropshire. Address; Wellington Cricket Pitch, Bowring Park, off Herbert Avenue, Wellington, Telford. Address; Worfield Cricket Club, Davenport Park, Worfield, Bridgnorth, WV15 5JZ. Worfield Cricket Club is Shropshire Cricket Club steeped with tradition, but also one that is very much moving with the times. On arrival you will find one of Shropshire's most picturesque settings with every conceivable cricketing facility available for all Cricket Club members. Address; The England and Wales Cricket Board, Lord's Cricket Ground, London. NW8 8QZ. Address; TwelfthMan - England Cricket Supporters Club, 7 Olympus Court, Tachbrook Park, Warwick. CV34 6RZ.